Kenny Kramer is the model for Cosmo Kramer, the unpredictable and affable bachelor who has trouble staying on his feet. Prior to serving as Cosmo's model, Kenny had a long career as a stand-up comedian and was the manager of a British reggae band. During the disco years Kenny created an electronic jewelry item that sold so well that Kramer was able to live comfortably long after disco died. For six years Larry David lived across the hall from Kenny. One day Jerry Seinfeld asked Larry for help creating a TV show. Jerry became famous, Larry became George and Kramer became Kramer. For the past seventeen years, Kenny has been the host of Kramer's Reality Tour and Kramer's Reality Road Show. Here Kenny relies on his stand-up experience to entertain people from all over the world with the behind-the-scenes Seinfeld story. In New York the tour has a bus portion that goes to sites made famous on the show. Seinfeld even did an episode spoofing Kenny's tour when Cosmo Kramer started The Peterman's Reality Tour in "The Muffin Tops" episode. Kenny has toured Australia twice, has performed at dozens of colleges, comedy festivals and state fairs with the Road Show version of his tour, "KRAMER ON SEINFELD." He has been written about in thousands of newspapers and magazines. He has been on Oprah, the Today Show, Dateline NBC, Maury Povich, CNN, ET, CNBC, MSNBC, Inside Edition, Extra, Access Hollywood and every other tabloid show imaginable. Recent TV appearances include A&E's Biography of Jerry Seinfeld, The Today Show, as a defendant in Judge Judy's court room and as a celebrity Karaoke judge on MTV. In his spare time he has run for Mayor of New York, served as a correspondent for Hard Copy, written, produced and hosted "Kramer's New York" segments for Fox5's Good-Day N.Y. and appeared in the original New York company of Tony and Tina's Wedding playing himself. In 2001 Kenny was the Libertarian Party's candidate for mayor of New York City. The last time Kenny ran for mayor he admits it was a publicity stunt but this time he said he's was in it to win it. His campaign slogan reflected that...KRAMER FOR MAYOR...THIS TIME I'M NOT KIDDING!!! Unfortunately Kenny lost. He did however receive several thousand votes but he was relieved in that he was once again able to escape having to hold an actual job. The Seinfeld Show, which airs nightly in ninety countries, continues to be one of the world's most popular sitcoms. As there are no new episodes being produced, Kenny's tours and stage shows provide Seinfans with the only new Seinfeld experience available. Even though the show has ended, Kenny has made it clear that he has no such intention. 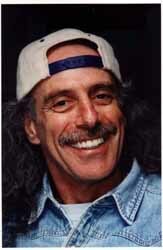 Kenny Kramer will continue to entertain and live his life. It's worked so far.